There are certain international store that I like browse on a regular basis, I love the variety of products they offer and a lot of the time that are at a good price. The shipping rates are also great (although if not happy sending an item back can be costly). So I thought I would share my favourites for you to check out. All offer shipping to Australia. You never know the more people buying, maybe the better the chance of these store opening up right here!!! Fingers crossed, oh and toes!!! Anthropologie offers a really eclectic mix of styles on their site. 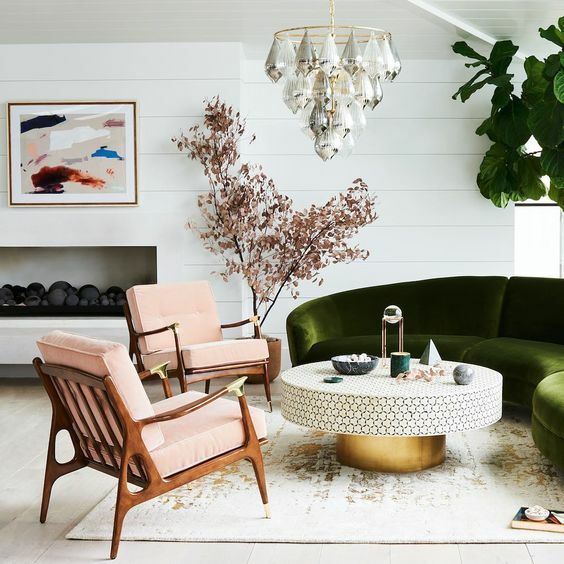 Mostly I would say it was pretty bohemian in style, but then it has a few slightly more modern pieces thrown in, some with a mid century modern twist. Unfortunately not everything is available for shipping to Australian, like rugs and lighting, but most homewares are. This is a site you have to keep checking back on as they seem to add to their stock almost weekly. CB2 is to Crate and Barrel that West Elm is to Pottery Barn, i.e its modern sibling. I have bought quite a few bits from CB2 including a rug (which I love) and some really good value homewares. I would not say that I love everything this store has to offer but I would say it does has some really nice pieces. For value you just can’t go past Urban Outfitters, now I know it is aimed at young hipsters, but I love some of the bit and pieces they sell. Ok so the quality might not be the best, but for little decorator pieces that many of the other stores have, this store delivers, especially on a tight budget. My one go to shop that is not based in the US. Oliver Bonus is a cross between Urban Outfitters and Anthropologie with a British twist. Again some really great value pieces to be had, although not all items shop to Australia. Their pieces are well chosen and all seem to work together effortlessly, so if home styling is not your strong suit, OB makes it easy. I love the products on this site, many sustainably sourced direct from the artisans who crafted them from around the globe. Admittedly this is probably the most expensive site on the list, but their products are really stunning and pretty unique. And if you know you are helping artists in developing communities surely that is a bonus. If you have not checked any of these stores out before, then give them a look. Maybe you have your own list of stores that are perennial favourites, love to hear what they are. Next ›Getting Summer Ready!! Outside Inspiration.